With addition of high profile artists like George Strait and Alabama, the upcoming George Jones Tribute concert has become a must see event. Epic Nation Tickets remains the best place for George Jones Tribute concert tickets at premium cost. Great deals with low services fees are found at Epic Nation Tickets for the George Jones Tribute concert and more. An upcoming tribute to a country music legend just recently became bigger and better with addition of more country music superstars. The George Jones Tribute concert to be held in late November in Nashville had already attracted "starpower" like no other, but with the announcement of more high profile entertainers, this night will be an incredible night of country music. Epic Nation Tickets has a large supply of George Jones Tribute concert tickets, that the most avid of country music fans will not want to miss. While preparing for his "Grand Tour", the music world lost music legend, George Jones in April 26. While all future concert dates were cancelled, George Jones’ wife, Nancy, wanted his show on November 22 in Nashville to go on. Since that announcement the number of artists scheduled to perform in honor of George Jones has become an incredible list of country music stars. Previously announced to perform were acts such as Alan Jackson, Travis Tritt, Dierks Bentley, Josh Turner, Oak Ridge Boys, Charlie Daniels, Jamey Johnson and more. A little more than a month ago George Strait, Blake Shelton, Miranda Lambert, Eric Church, Reba McEntire and Alabama were announced that they would be performing. This will undoubtedly be one of the best selections of country music stars to be together on one stage. For music fans of any genre this will be a "CAN’T MISS" event like no other. George Jones Tribute Concert tickets are sold out of most official venues, thus secondary market resellers, such as Epic Nation Tickets are the only outlet to purchase tickets. Great deals with low services fees are found at Epic Nation Tickets for the George Jones Tribute concert and more. 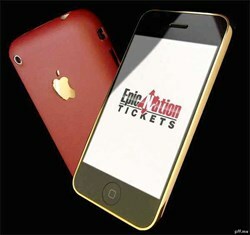 Epic Nation Tickets is the best source of tickets to sports, concerts, Broadway shows and Las Vegas acts. All ticket transactions come with a 125% guarantee and impeccable customer service.